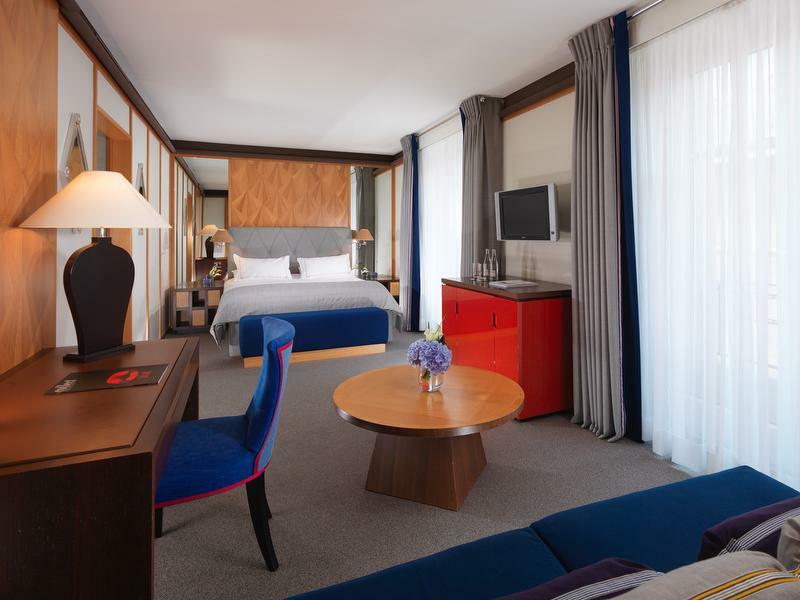 Relax in the sitting area, which features an armchair, sofa and executive desk. 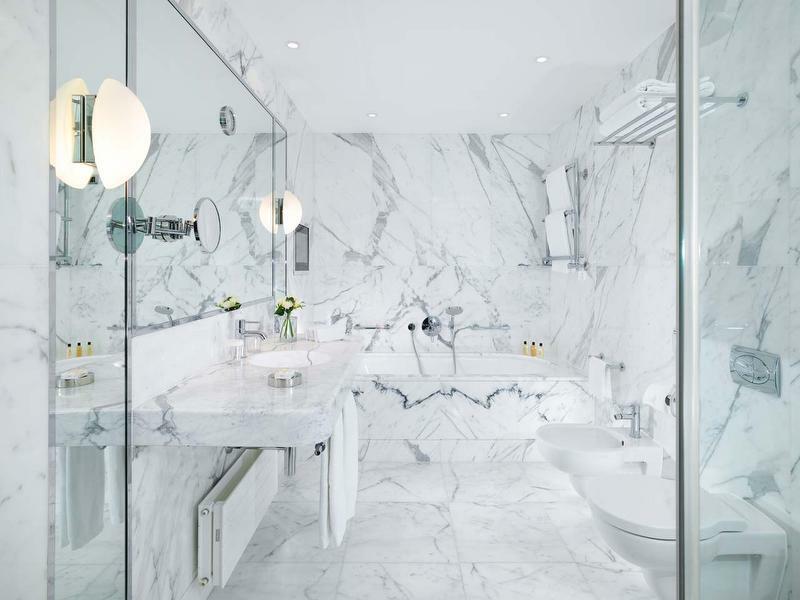 In the marble bathroom, you´ll discover a separate bath and rainforest shower. 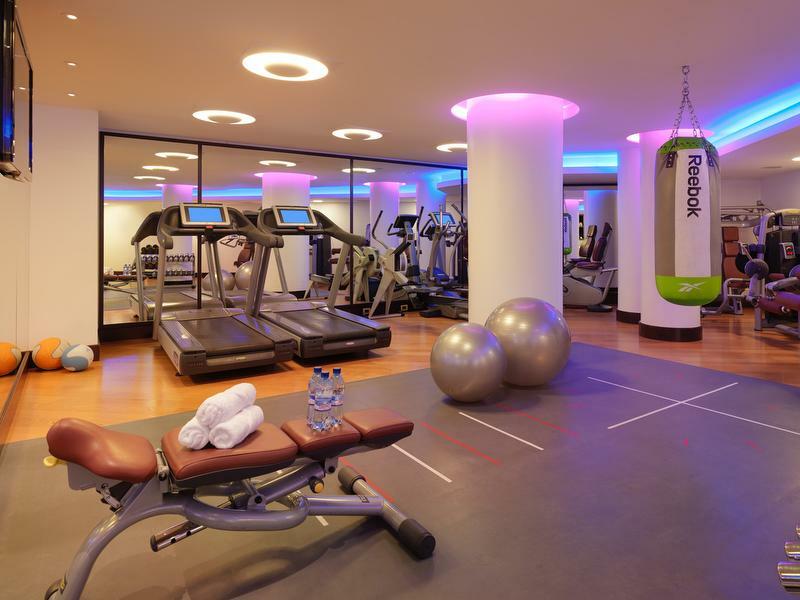 Premium Lake View rooms can connect with additional suites and rooms. A grand entrance hall divides the spacious master bedroom and luxurious living room, whilst the dining area accommodates up to six guests. 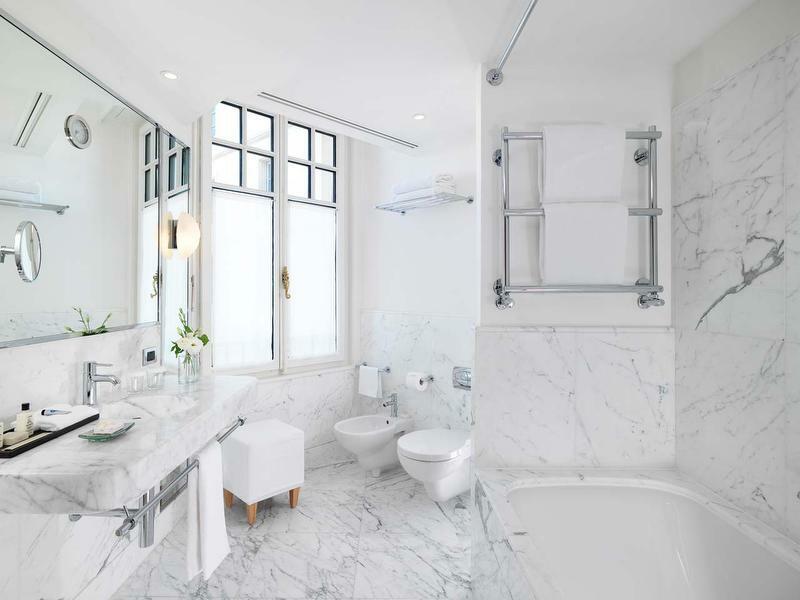 In the elegant marble bathroom, you´ll find a deep bath and a rainforest shower; there is also a guest restroom. 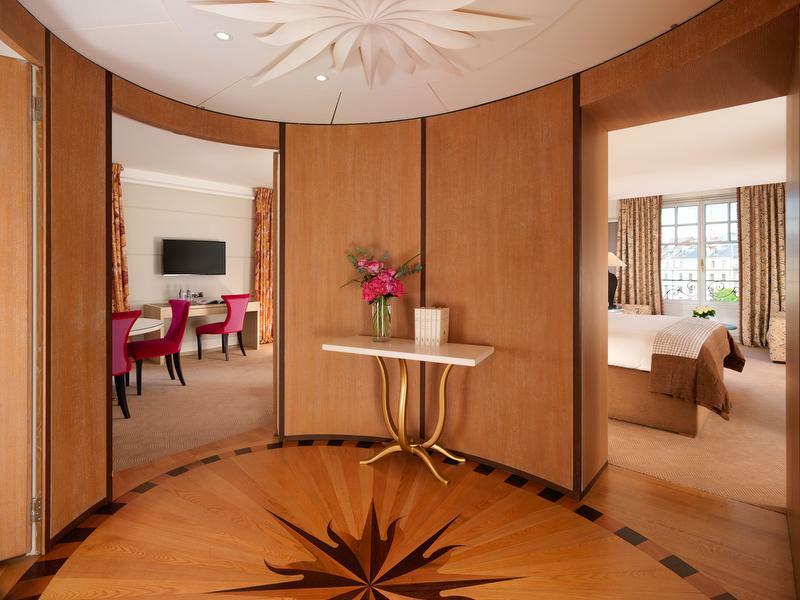 If desired, the suite can be converted to add an additional bedroom. 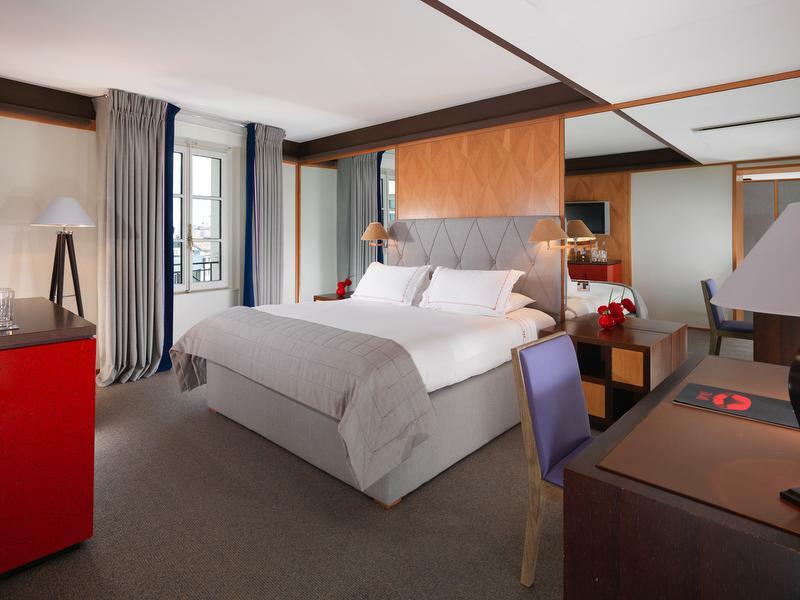 Experience Le Richemond from the comfort of a Superior Room, a highlight of five-star travel in Geneva. 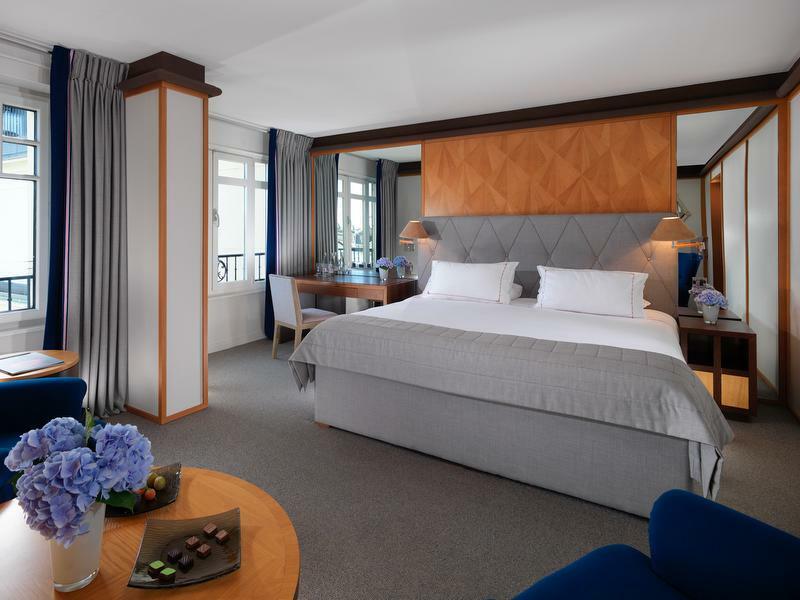 Decorated in a contemporary style, each one features elegant furniture, touches of blue and cream, and city or courtyard views. 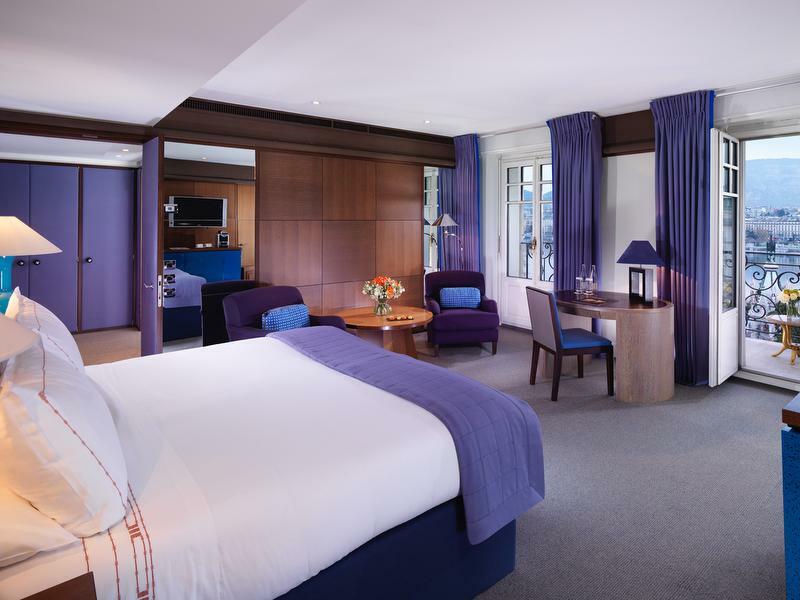 Unwind with a book in the cosy reading area, catch up on work at the Executive Desk, or relax on the comfortable king-size bed. 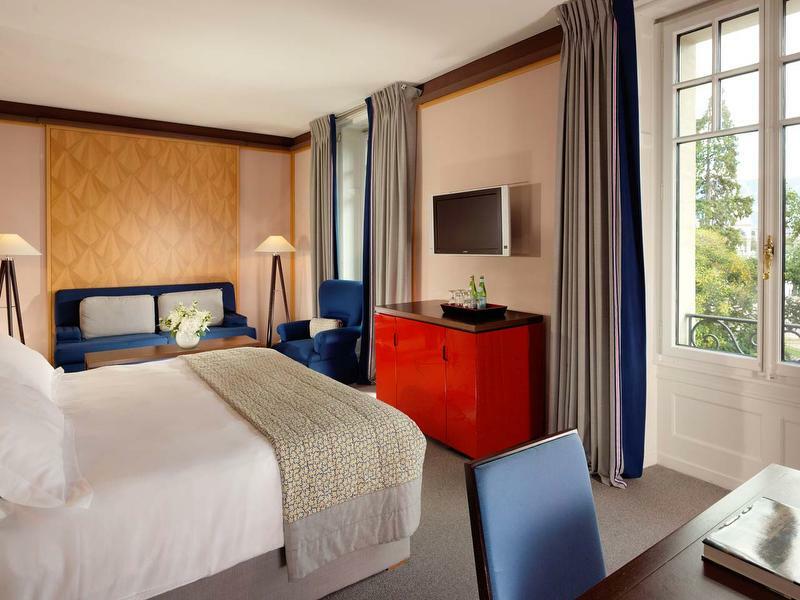 In the spacious marble bathroom, you´ll discover a rainforest shower and toiletries from L'Occitane en Provence. 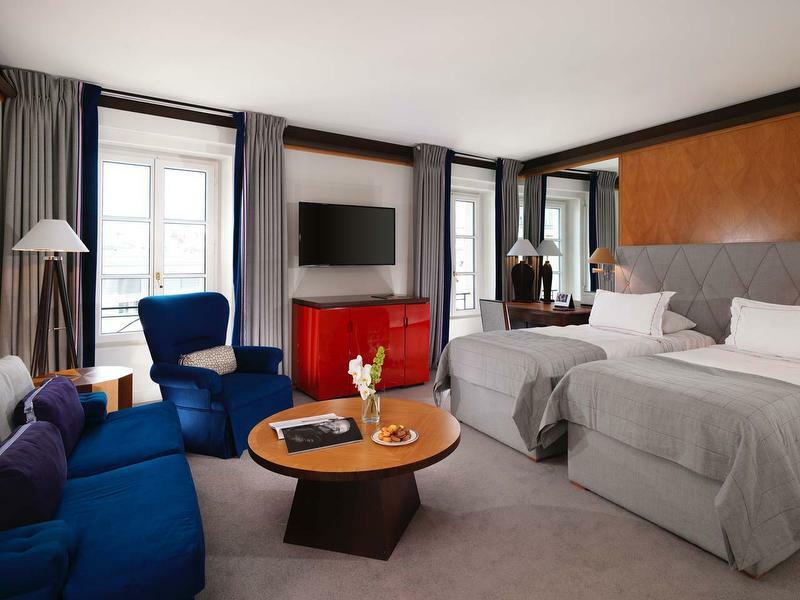 With its elegant contemporary style, the one-bedroom Junior Suite is ideal for those wishing to experience five-star travel in Switzerland. 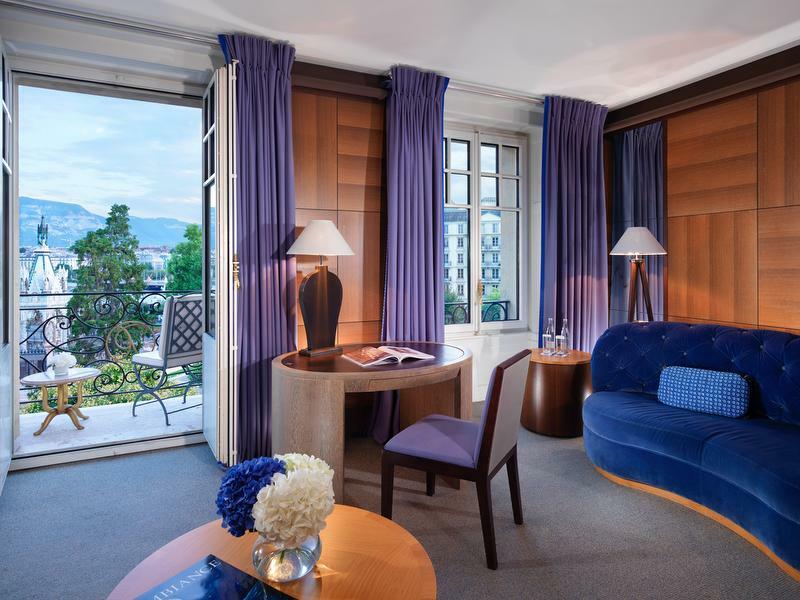 Featuring dark wood accents and touches of blue or brown, this suite offers either a balcony overlooking the city and the Jura mountains or a view on the Brunswick Gardens. 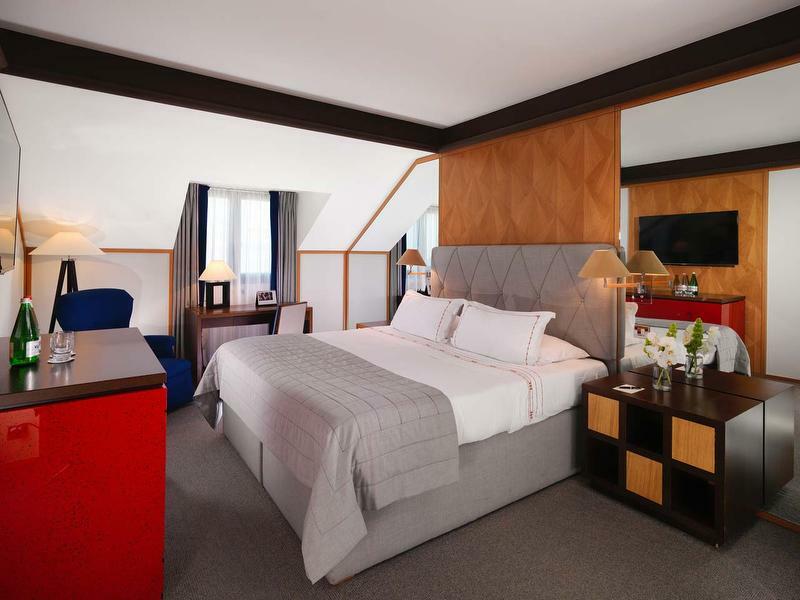 The bedroom is partially separated from the sitting area by a panel, and features a walk-in closet and a desk. 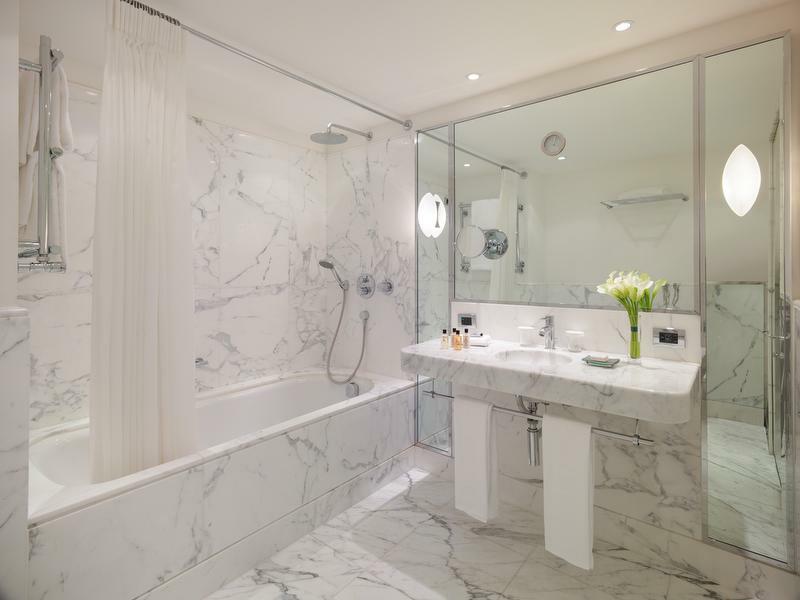 In the luxury marble bathroom, you´ll find a deep bath with an integrated flat screen TV. 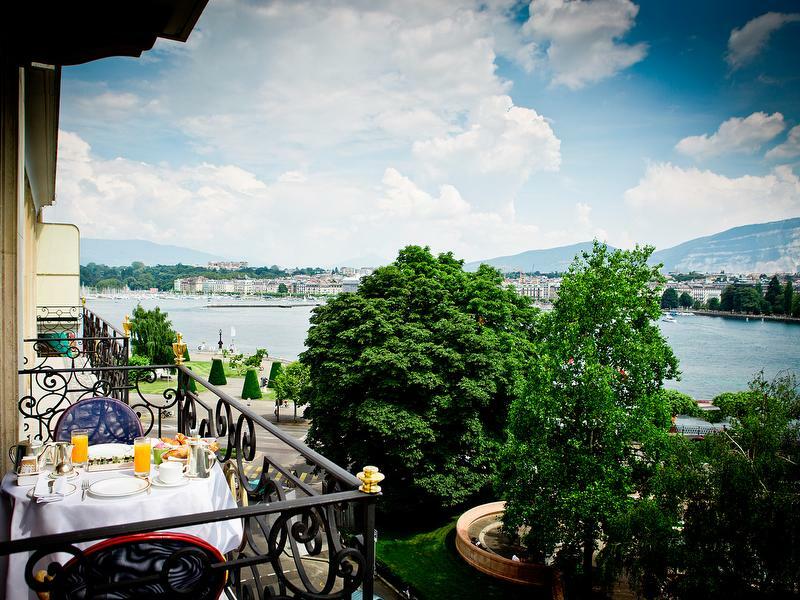 This suite features an ornate wrought-iron balcony with magnificent views overlooking nearby Lake Geneva, the Jet d´Eau and Brunswick Gardens, all set against a glorious backdrop of the Alps. 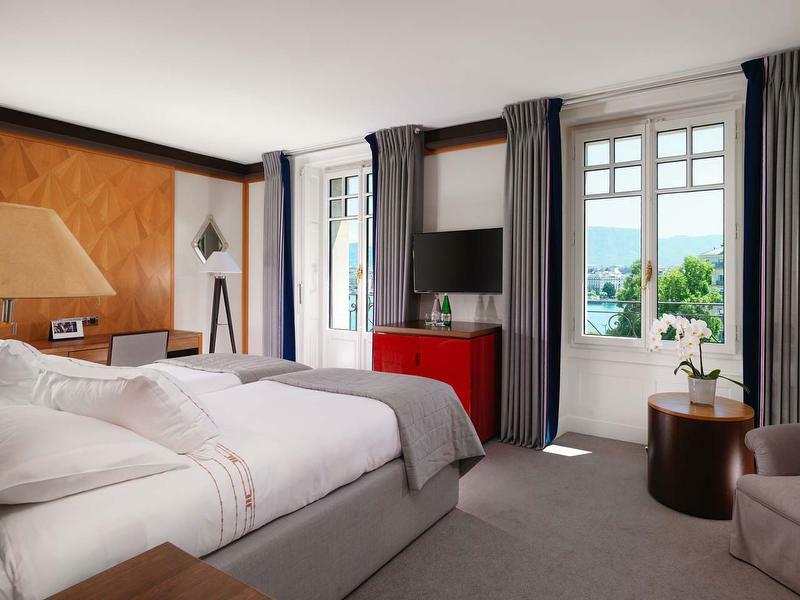 With its stylish contemporary look, the one-bedroom Lake View Junior Suite is ideal for those wishing to experience five-star travel in Switzerland with spectacular views. 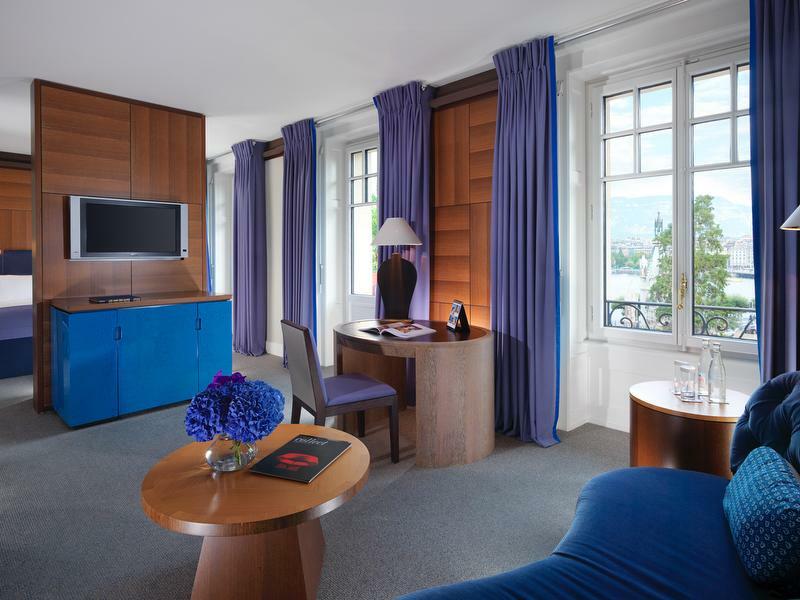 Featuring dark wood accents and touches of blue, the bedroom is partially separated from the sitting area by a panel, and has a walk-in closet and a desk. 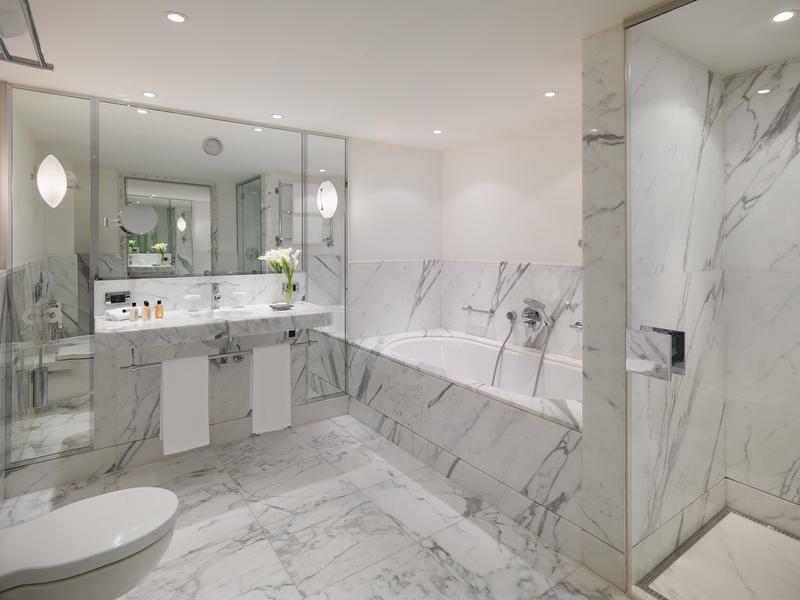 In the luxury marble bathroom, you´ll find a deep bath with an integrated flat screen TV. 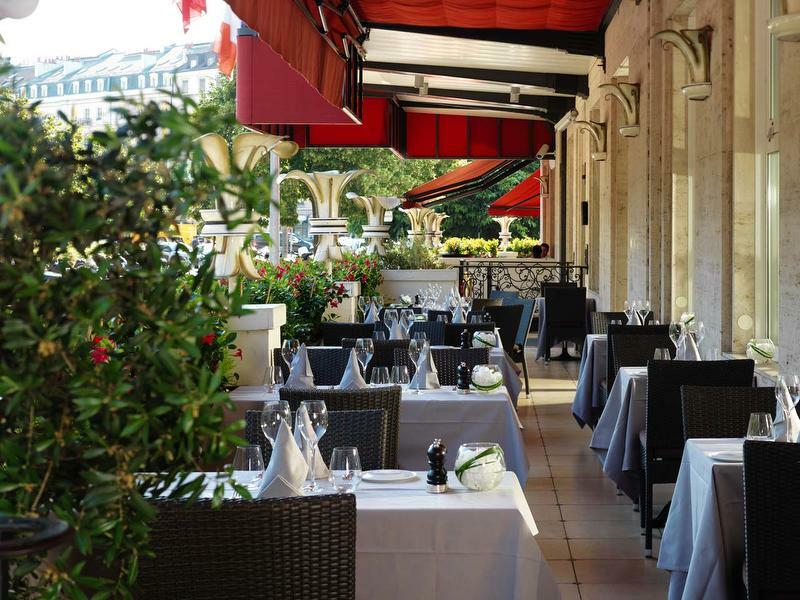 Experience five-star travel at its finest when you stay in a 1st floor Executive Garden View Room at Le Richemond. 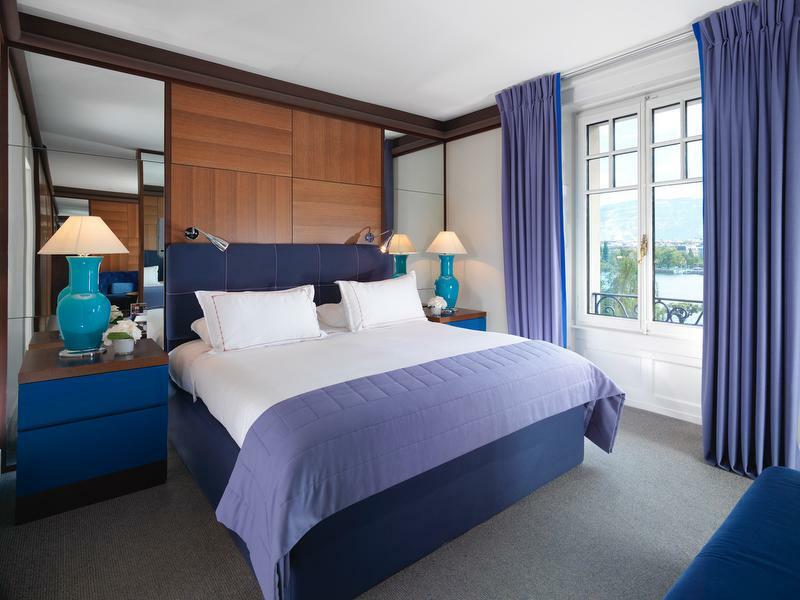 Decorated in a luxurious contemporary style, each room benefits from a partial Lake view, facing the Brunswick Gardens against an alpine backdrop. 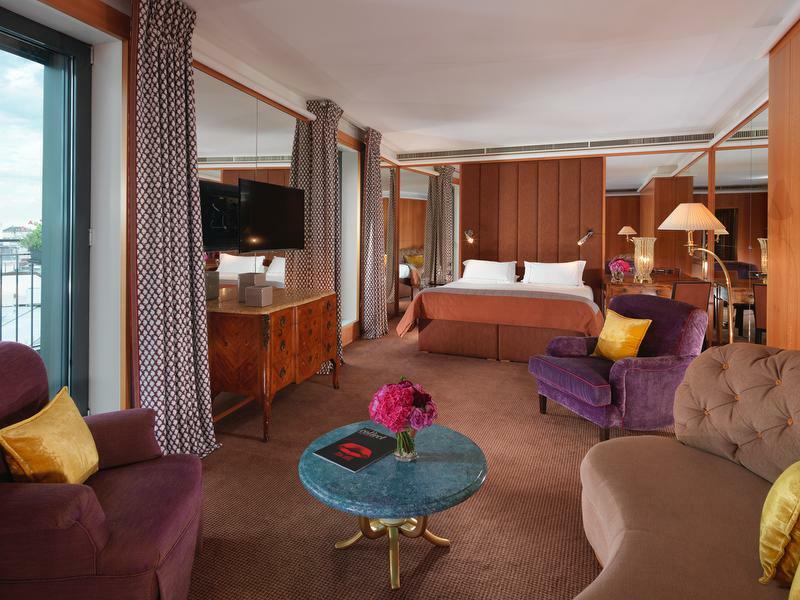 Relax in the sitting area, which features an armchair, sofa and executive desk. In the marble bathroom, you´ll discover a separate bath and rainforest shower. 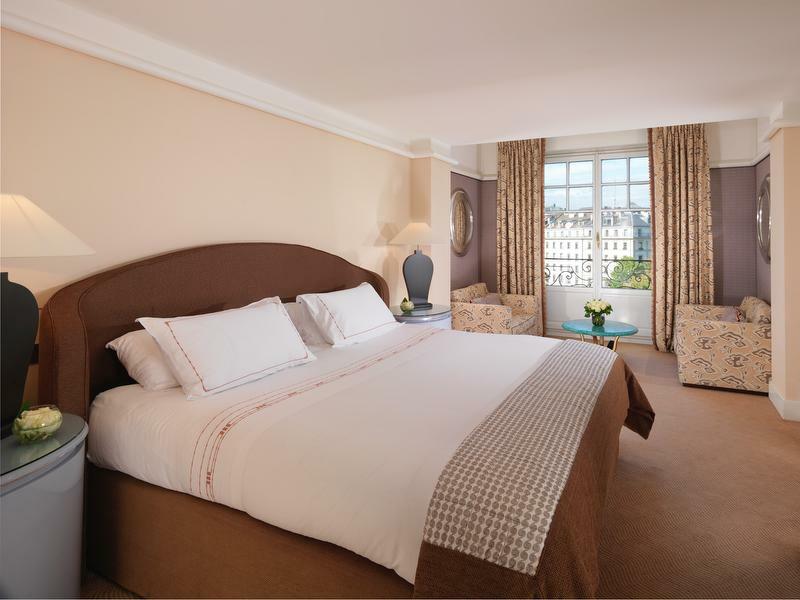 Executive Garden View Rooms can connect with additional suites and rooms. 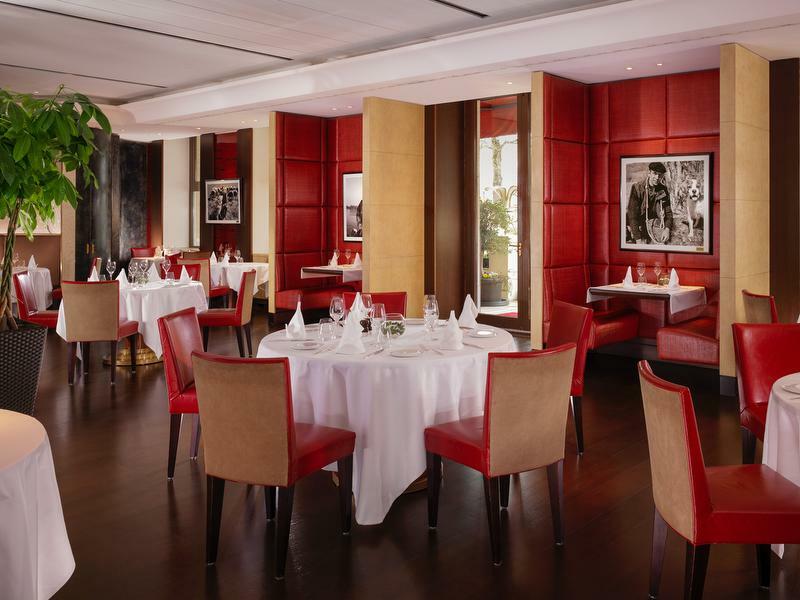 Geneva´s legendary Le Richemond is located in the heart of the city on the shores of Lake Geneva. 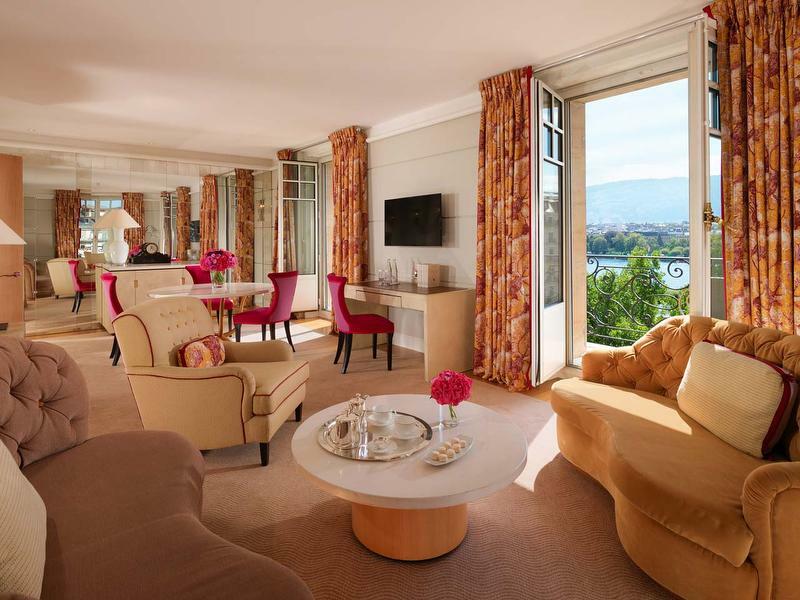 Enjoy an ideal location offering incomparable views of the lake and the famous jet d´eau, the Mont-Blanc and the old town. 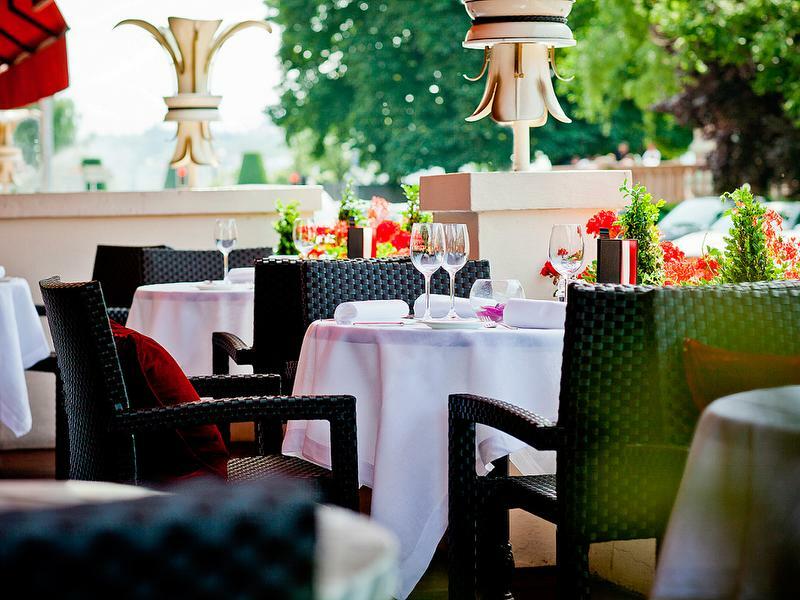 Taste a stylish French cuisine featuring the best of local products at the restaurant Le Jardin, sip creative cocktails at Le Bar and take time to relax at the only exclusive spa by Sisley in Switzerland.